So what are the Anunnaki doing here on this planet, obviously we are still mining gold ,and we certainly are obsessed with this shiny metal giving it the highest value of any material on earth . Literally killing each other in the name of Gold and God for that matter , wow those words sure are similar. There is no coincidence in our naming of things , or whoever named things , certainly wasn’t me. Nope all this was here long before I came around , you see we were all born into this madness , well kinda, or maybe we are simply participating in a predetermined collective experience , from a greater perspective , that’s probably closer to reality. I mean what else does infinite consciousness do for entertainment. Everything is allowed expression. So there’s no reason to “Fear” any of this, just see it for what it is and by doing so we will be shining a blinding light on it , and you know what happens when vampires get exposed to the light , Yep , end of game. We’re done with this movie , time to grow up and embrace these Anunnaki with love , from the heart and ask them , really is this all you can come up with. Surely they are bored with this game , playing God has to get old after a while. 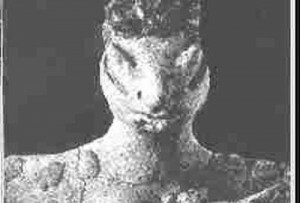 So the discussion that is going on out there is that these beings the Anunnaki , Nephilim , Lizard people what ever you want to call them ,are the basis for the whole devil , Satan , snake in the garden , fall of the angelic human . The symbolism we see all over the planet , in cultures all over the world , from ancient Egypt, Sumeria to modern day Luciferian cults , past and present all have representations of these beings ingrained in our collective consciousness. So one idea from researchers on this subject is, that while humans are still mining gold and worshiping it instead of each other these Anunnaki now seem to be mining Fear itself , they seem to love this lower vibrational state , and just can’t seem to get enough , which is why they have engineered this “Fear Based Paradigm that is rampant on this planet and currently in overdrive. Think Wars, Starvation, Destruction of Mother earth , and you get the idea. Well maybe , it would be easier to blame someone else for the “Human Condition”. While there may be some resonance here , again , nothing is black and white , perhaps yes they did come here over 400,000 years ago and genetically manipulated or actually created us in our current form , and yes they did make little slaves out of us to mine gold. But maybe we have the story wrong , after all it was a long time ago and there is a lot of dis info out there , so watch out. But hey that was yesterday , what do we do about it now , once we are awake sovereign beings , it’s time for us to move on , let go , maybe not all Anunnaki are created equal , maybe there some good guys out there . The point is that none of this exploration we are doing should ever be about who is to blame. We don’t have the full story yet , hell we cant even deiced how to spell their name yet , is it Anunnaki or Annunaki , I’m confused. Supposedly there are many sub groups among the Anunnaki, I mean not all humans are evil , right ? Why should it be any different with them in this polarized reality. It’s time we move beyond that , yes we should be exploring these subjects , so that we gain a greater persepctive of the nature of reality that we find ourselves in. Just listen to your heart and live from love and yes you can even love the Anunnaki. Why not, why cant we love them , aren’t they simply infinite consciousness , from a greater perspective , and if they are manipulating us , well shame on us for letting them, in the end we are simply manipulating ourselves. During the awakening process, somewhere along the line you will be faced with the term Anunnaki. Just a couple of years ago I would have asked what in hell is the Anunnaki, now I have some ideas as to what this is all about. The bible refers to them as the Nephilim, the African Zulu call them the Chitauri. The “Story” goes like this ….and this is a really simplified overview , but I will have links in here that will link to the supposed authorities on the subject so you can listen and make your own conclusions and gauge its resonance. 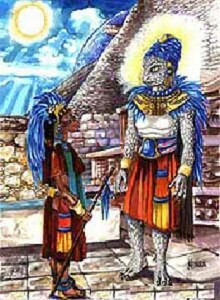 The Anunnaki are supposedly a reptilian master race that came to earth in search of gold , presumably so they could grind it into dust and spread it around their planet in the atmosphere to refract sunlight . Evidently their planet was becoming uninhabitable and this was their solution to the problem of too much sunshine. I know this sounds kinda far fetched but it gets better…I think . The general consensus among most researchers and those that are awakening is that there is definitely something going on when it comes to the concept of an Ancient Non-Human based presence on this planet. Most believe that this presence is at the root of most of the negative social engineering that has been going on for thousands of years , and perhaps is the root of evil itself. Much work has been done on this subject by researchers Zecharia Sitchin and more recently David Icke that point to the Anunnaki as ultimately behind the social engineering on this planet. They are the controllers behind the curtain, behind the Royal blood lines behind the politicians and power elite , they are the real rulers on this planet in this scenario. At first its a rather overwhelming concept, if looked at from the human perspective, if looked at from the perspective of infinite consciousness it actually starts to make a lot of sense on so many different levels. So if you can get away from the idea of whether it s a good thing or a bad thing , you can really have fun with it.